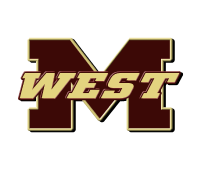 The Magnolia West High School Sports Medicine Team welcomes your staff and team to Magnolia. Give us a call or email in advance if you will need water, injury ice, use of the athletic training room, or any other specific accommodation. We are happy to help make your trip easier! Jessica Bates (jbates@magnoliaisd.org), Tina Thompson (cthompson@magnoliaisd.org), Athletic Training Room office 281.252.2550, Ext 7266.